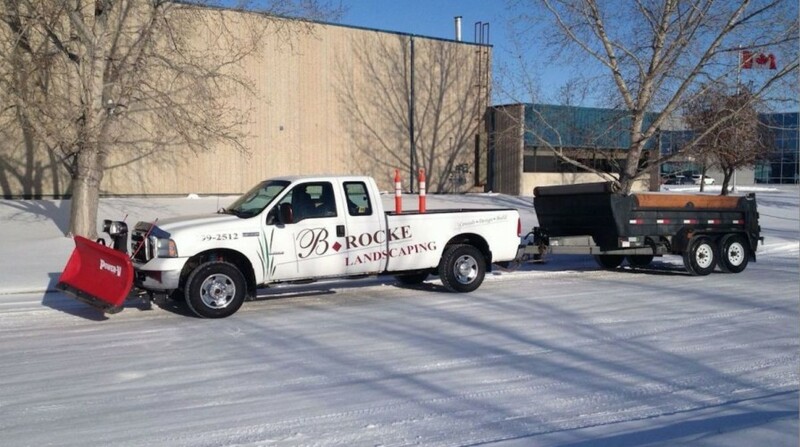 Why do people want to work for B. Rocke Landscaping? We believe that a positive work environment creates happy employees and promotes job autonomy. All employees are paid above a living wage. We provide health and dental benefits to our full-time, returning employees. We take pride in our work and focus on creating the best projects possible. Safety and quality are our highest priorities. 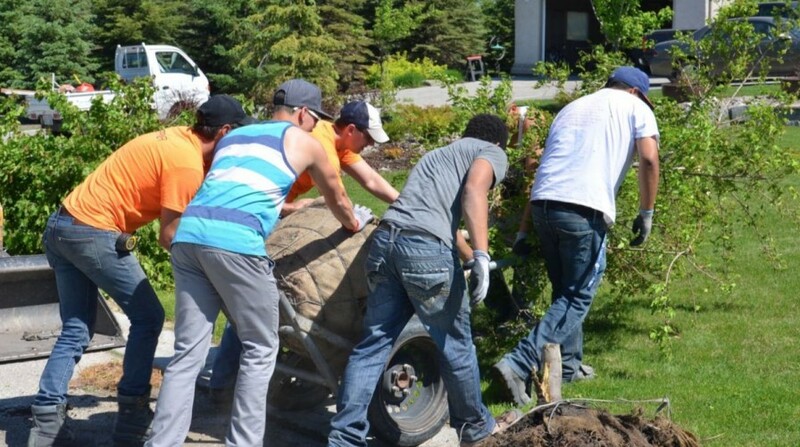 We provide professional development training that is focused on specific skills related to landscaping as well as personal well-being and self-improvement. We believe everyone has unique skills that contribute to our team. We have employee bicycle and bus riding incentive programs wherein employees receive compensation and other rewards. Working here is like having a gym membership, except that you are the one getting paid! We want to attract positive, responsible, physically fit, and ecologically-conscious employees. Be Honest – Whether we are dealing with clients or employees, we continue to build a culture of honesty and respect. We understand that miscommunications will happen, but that they are most effectively solved if everyone involved is completely honest and respectful with each other. By continuing to promote these values, we strive to surround ourselves with like-minded people. Be Green – We do landscaping and we love being green! We are passionate about growing and promoting a strong, sustainable, environmentally-conscious company. We believe that being green starts with being honest; being honest with ourselves about where we are currently and where we can improve. We constantly look for ways to lower our environmental impact, promote green initiatives and set good examples in our industry. We believe that green values are great business values. At its core, environmentalism is about conservation, which means doing more with less, promoting innovation and investing in sustainable business practices. Be Humble – Although we always strive to create projects that “WOW” our clients, we consistently aim to achieve more and improve our talents. We are a growing company, but we embrace our humble beginnings. We know that the world’s largest tree was once a tiny seed. Be Happy – We have built a workplace culture wherein positivity and fun are encouraged. Our clients enjoy interacting with our polite, courteous, and hardworking staff. Why? Because a positive atmosphere is less stressful and more productive for everyone. Be Passionate – We are passionate about our work and never lose our sense of urgency with regard to addressing our client’s concerns and making improvements. We are constantly investing in research and development to create unique, practical, and stylish landscape features and furnishings. 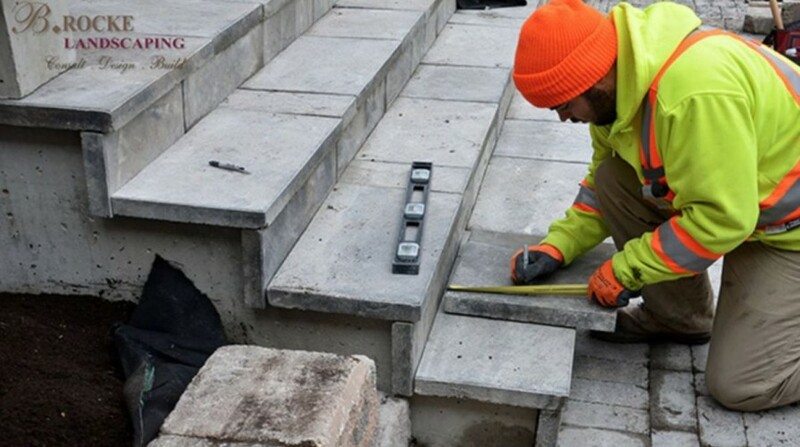 Exceed Expectations – We strive to continuously exceed expectations, from the initial consultation, to the design process, and throughout the the entire project. We do not believe in “production line” landscapes; we view every project as a unique opportunity and we take great care in making sure that each project has the potential to become a show piece. Drive Change – The truth is that most of us tend to follow the path of least resistance. Doing whatever everyone else is doing is much easier than challenging the status quo. To ask the hard questions and be willing to change requires empathy, introspection, and courage. One must be willing to embody the values that one desires to see in the world. At B. Rocke Landscaping, we do not fear change. We drive it. We are living on the cusp of a green revolution and we all have the choice whether to be actors or bystanders. For our part, we have chosen to embrace our social, economical, and environmental responsibilities.